Huge strides have been made in quality, accuracy, performance and affordability of speech technology solutions. Their use in healthcare is on the rise. Dragon Medical Practice Edition is an easy and fast to install professional medical desktop program, tailor-made for the healthcare profession? It features a high out-of-the-box recognition rate and combined with its productivity features including formatting, templates and medical command sets, help you achieving a time saving of an hour or more a day! It is designed and priced especially for smaller practices, to help you deal with the challenging environment GPs are confronted with today. Dr. Ivan Camphor told Nuance recently. 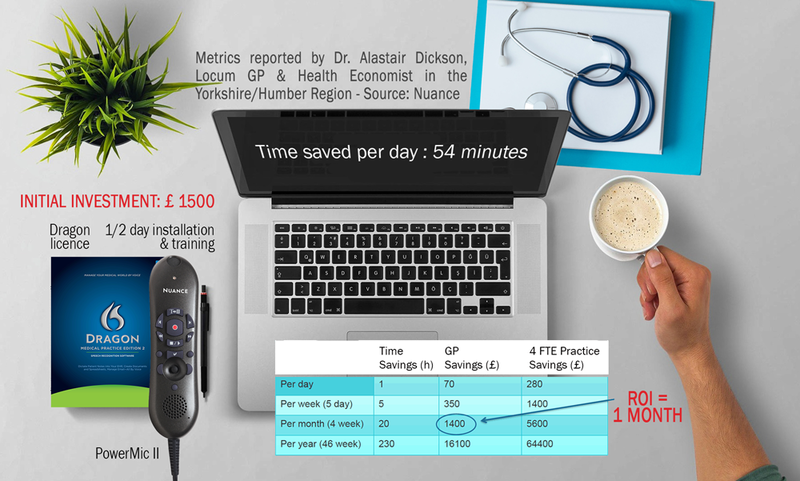 NHS eReferrals are done while the patient is with him in consultation – using a microphone to speak directly into the patient record.